Belle Fourche Lions charter document from 1936. 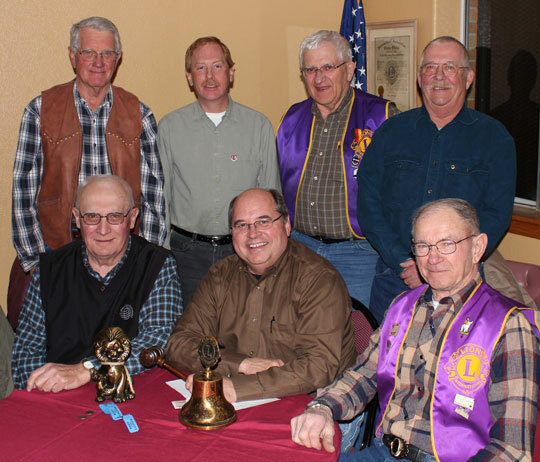 On October 10, 1936, at the Club Cafe, 24 Belle Fourche men became charter members of Belle Fourche Lions Club No. 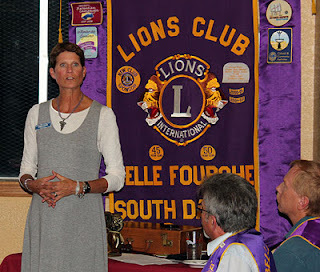 003404 of the International Lions organization. 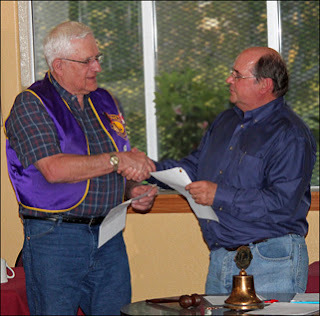 Charter President was A.R. Powell, druggist; Charter Secretary was O. J. Buxton, service station owner. 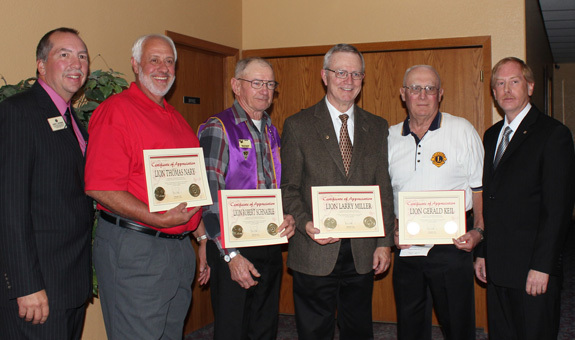 Other members whose names are etched in Belle Fourche history were Dr. R. M Buck, veterinarian; Lem Overpeck, attorney; Otha Frost, funeral director; Mike Heinbaugh, newspaper editor; Dr. D. A. Lind, dentist; Rueben Schmidt, druggist; Dr. Sion Sherrill, physician, and Seth Smith jeweler. 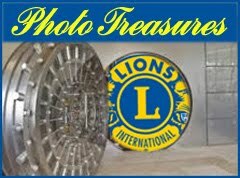 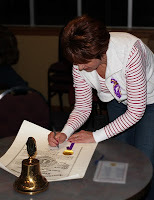 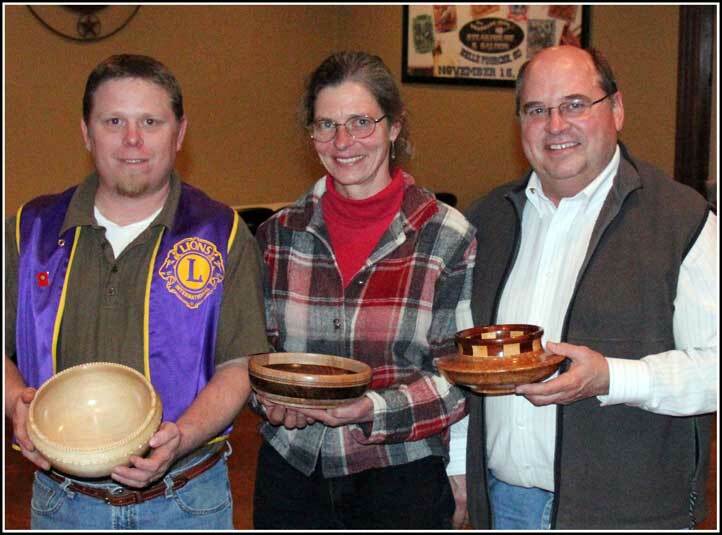 Sponsoring the new club was the Rapid City Lions Club 00346 which is still in operation. 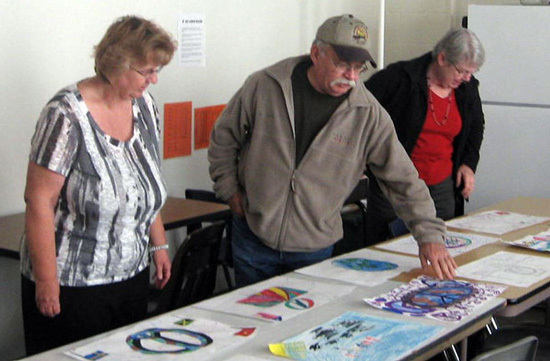 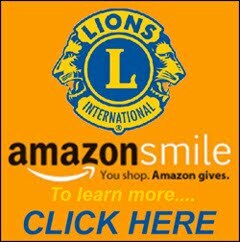 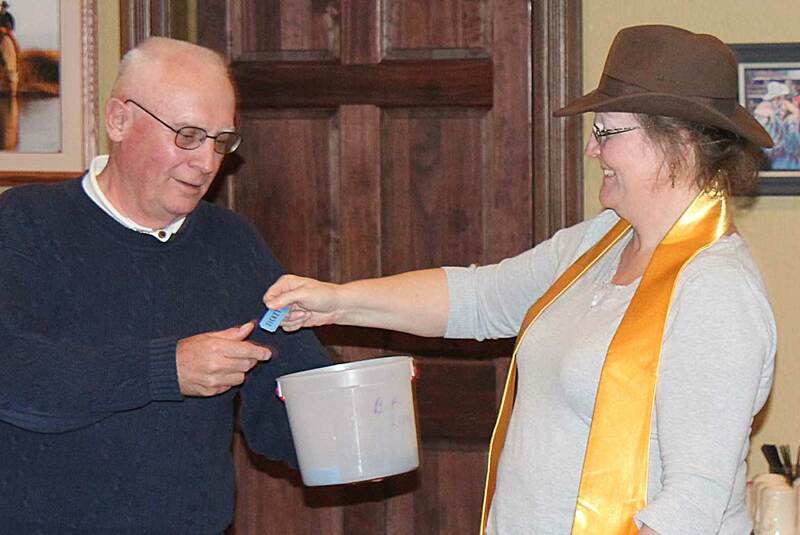 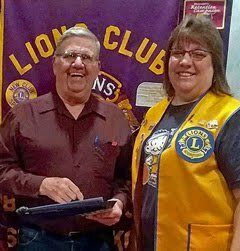 Since then, the Belle Fourche Lions have sponsored five clubs in the Black Hills area: Spearfish, Sturgis, Buffalo, Piedmont Valley, and the Northern Lights Lions Club of Belle Fourche. 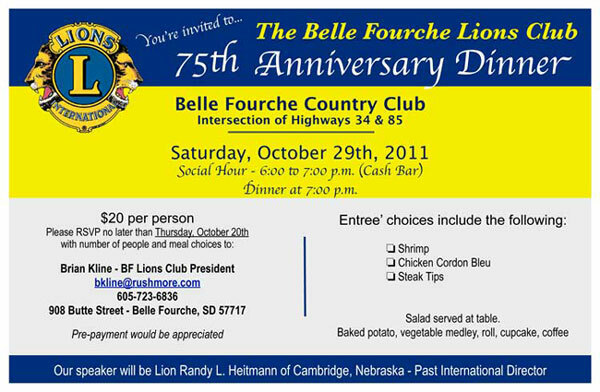 On Saturday, October 29, Belle Fourche Lions will celebrate the 75th anniversary of their club at The Mulligan at the Belle Fourche Country Club, with a dinner at 7 p.m., preceded by a social hour from 6 to 7 p.m. 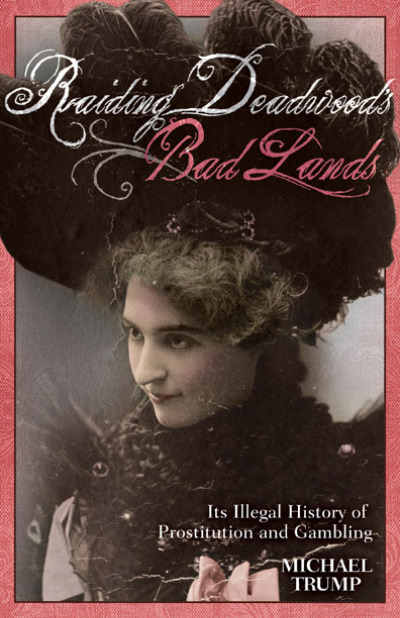 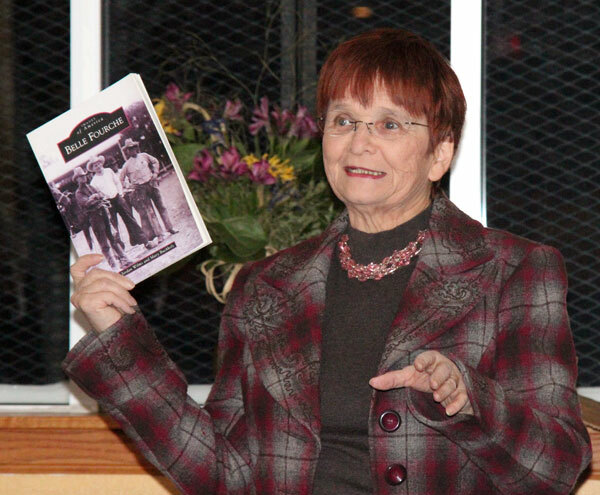 The public is invited and must make reservations with Brian Kline, 892-6836, bkline@rishmore.com by Thursday, Oct. 20 Tickets are $20 per person. 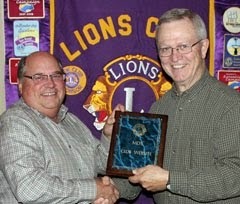 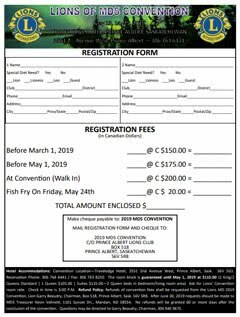 Guest speaker will be Randy Heitmann of Cambridge, NE, past Lions international director. 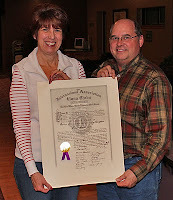 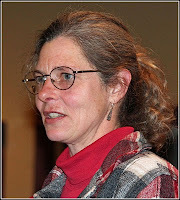 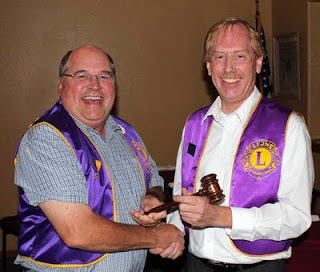 Lion Heitmann has held several other major positions in Lions from club president to USA/Canada district governor. 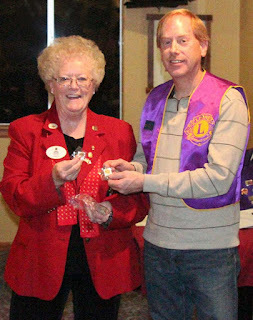 He is also recipient of the International President’s Ambassador of Good Will Award, the highest honor the association bestows. 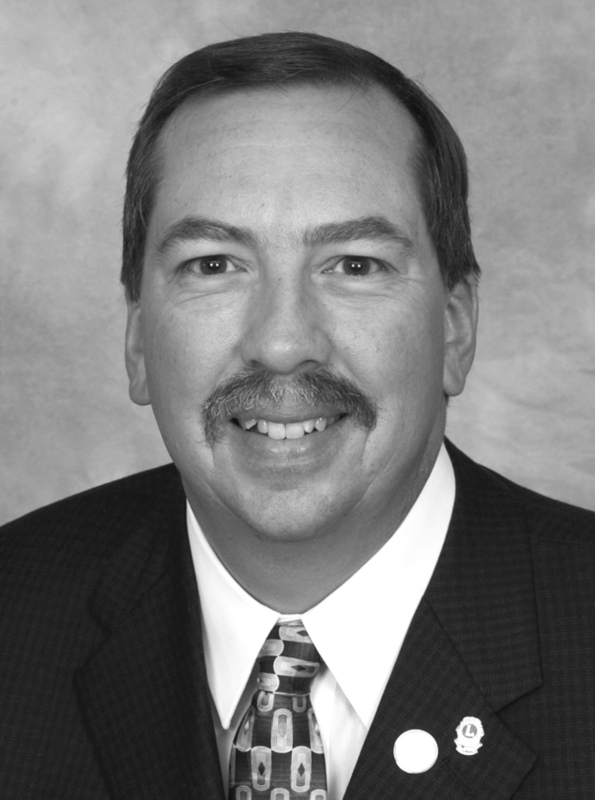 Heitmann is owner of a taxation and accounting service and is active in health, business, and church affairs in his community. Brian Kline, president of the Belle Fourche Lions, allows that “A lot of water has passed under the bridge since the club’s founding but we’re proud to have continued to uphold the Lion motto, “We Serve.” The club received the Belle Fourche Chamber of Commerce Community Pride award for 2011 at the Chamber’s 100th anniversary celebration last spring. Kline said that through the years, the Lions have been involved in an impressive number of public service projects, as well as fund raising activities. 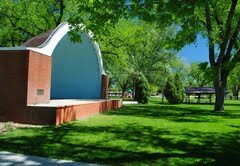 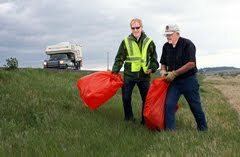 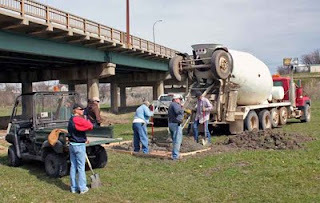 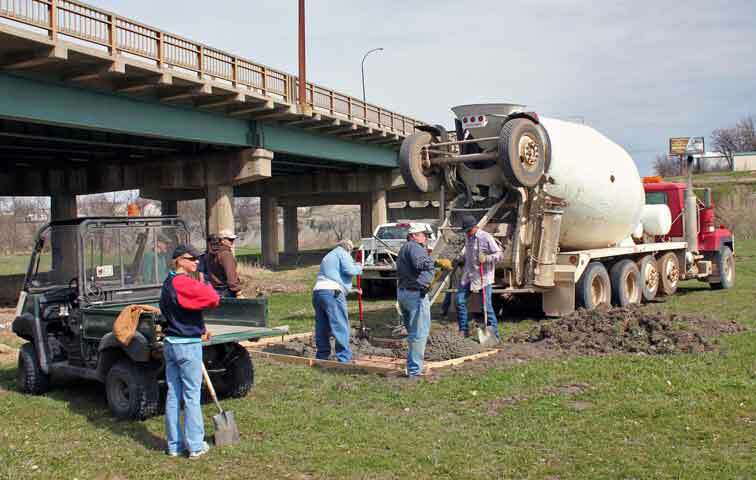 These include: Constructing ten picnic shelters, a rest room facility in Hermann Park, helping build a Habitat for Humanity home and Bowman Hall in the Park, cleaning the trash on a two-mile section of Highway 34, and working on the housing project for homeless women veterans in Belle Fourche. 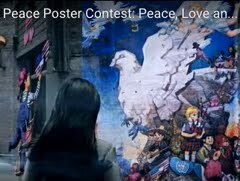 The club also sponsors the annual Lions Peace Poster contests, has performed blood pressure and other tests from the mobile Lions health van, supplied glasses for needy residents and sold white canes to provide financial assistance to the sight impaired. 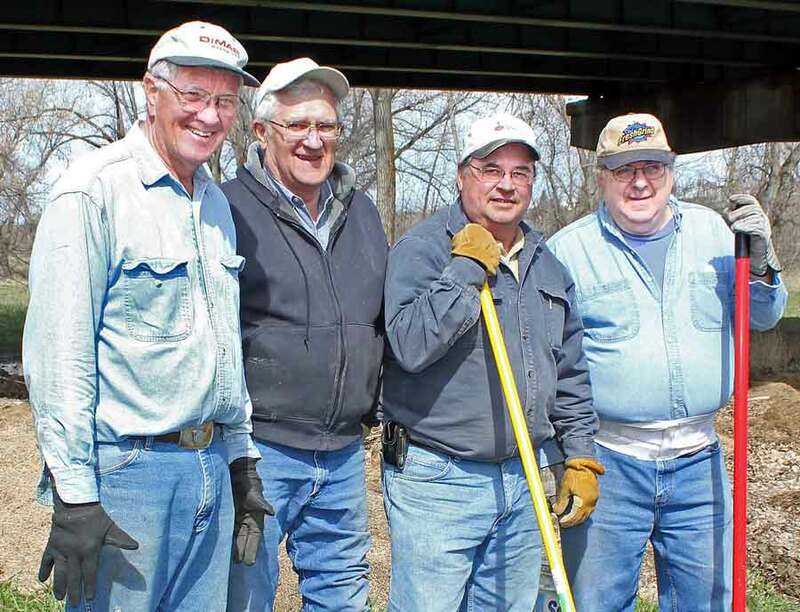 The Lions moved the Johnny Spaulding cabin to Belle Fourche, built a new porch on it, and helped construct a disc golf course along the Belle Fourche River waterfront. Fund-raising projects that help finance these projects have included selling candy, light bulbs, and Christmas coloring books. 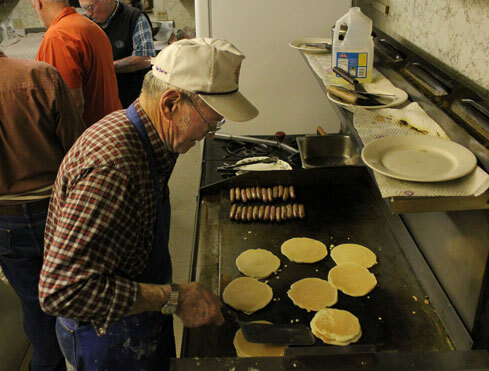 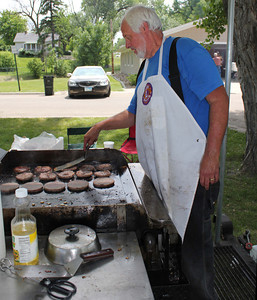 The club also provides food at the All-Car rally, ushers at the Black Hills Roundup, and holds pancake feeds. 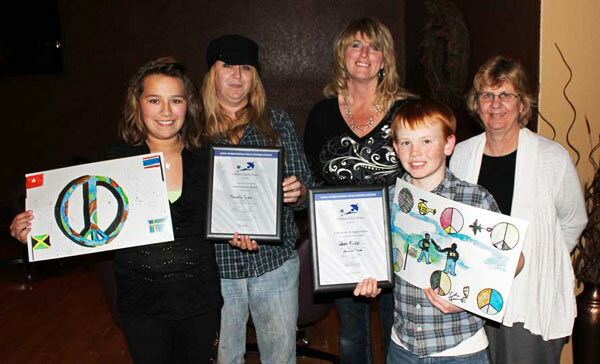 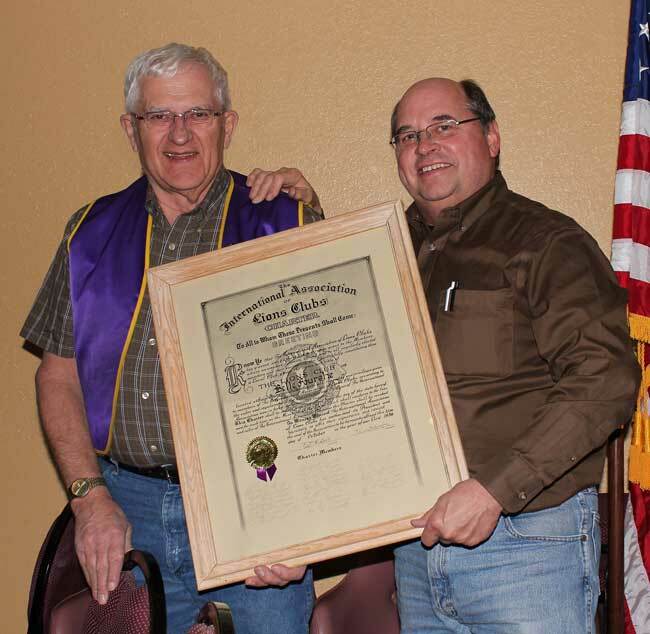 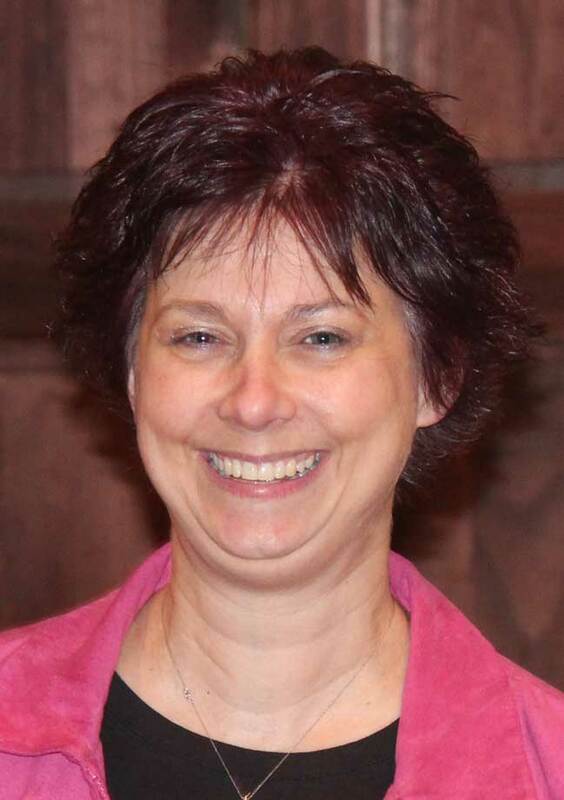 Several Belle Fourche Lions have held leadership positions at the district and state levels and have been honored for the service. 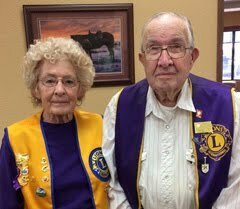 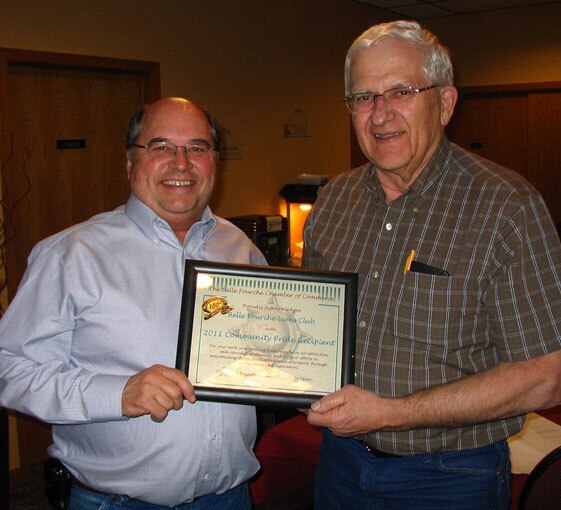 Charles Bruggeman and Tony Schmaltz were presidents of the South Dakota Lions Foundation. 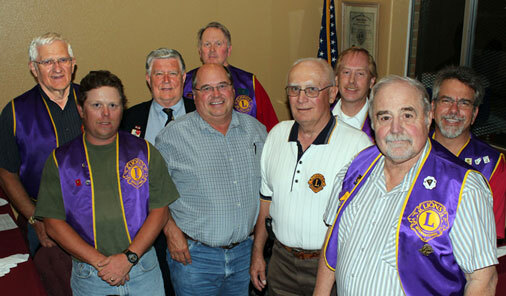 Burton Penfold, George Freemole, Dale Gillette, Henry Kahler, Rich Drabek (Presho Lions Club), and Charles Livingston were district governors. 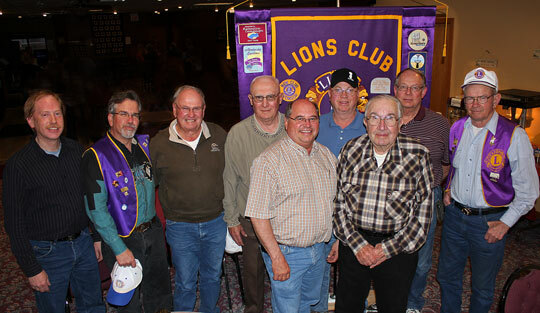 Drabek and Livingston have both been named to the South Dakota Lions Hall of Fame. 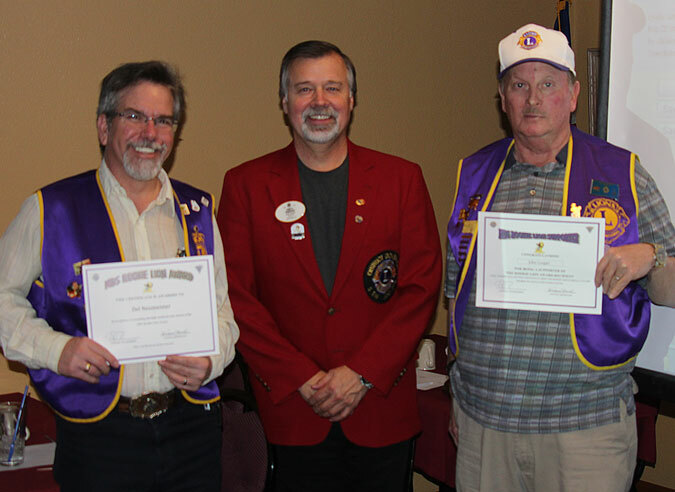 Livingston, Drabek, Lee Voyles, and Al Shaw are Melvin Jones Fellows. 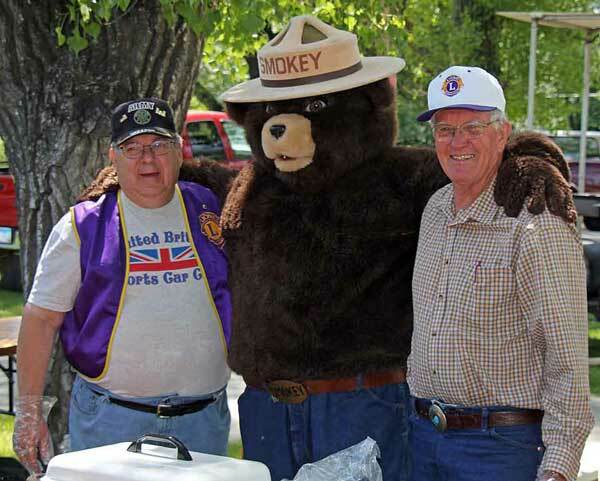 Smokey the Bear stops by for a visit as Lions serve brats and burgers during the 24th Annual All Car Rally on June 18, 2011. 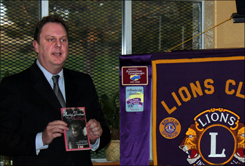 Lions Mike Reade' (left) and Leo Orme assure Smokey that they're adhering to all Herrmann Park rules. 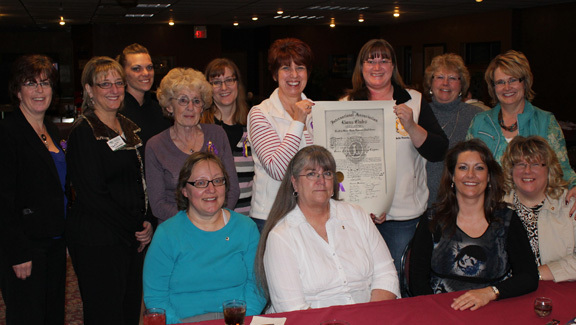 See more photos in our Lion's Club Gallery.